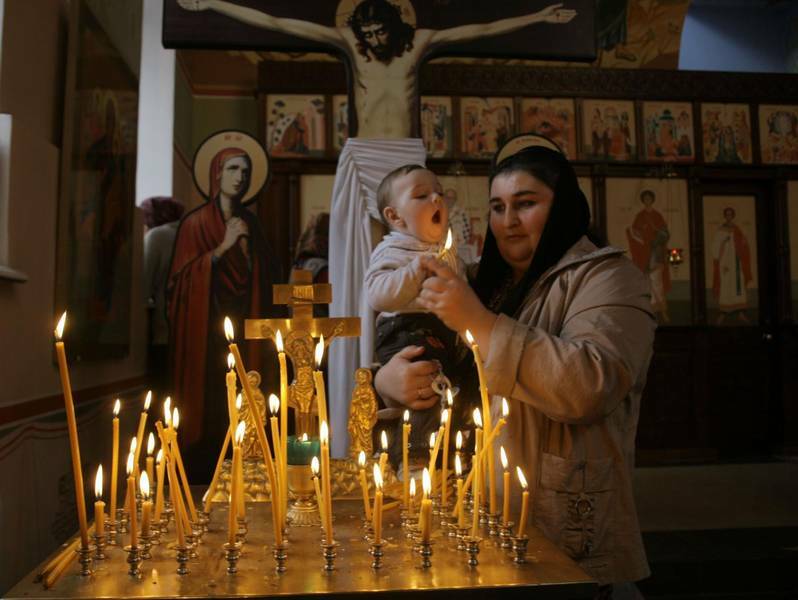 VOLGOGRAD, Russia, October 18, 2012, (LifeSiteNews.com) - An Orthodox priest in the Volgograd (formerly Stalingrad) region of Russia has been commended by the Russian Ministry of Health for his work in reducing the number of abortions in his district. His personal efforts in counseling and helping women to keep their babies has reduced the abortion rate in the Volgograd region by 25 percent over the past five years. Father Alexis Tarasov began his life saving work in his own parish in the town of Voljsk, where he said he spent hours talking with women who were considering abortion. He expanded his pro-life work with visits to the local hospital. Then, he and other like-minded priests, established a crisis pregnancy center. With the support of his diocese, he approached the local authorities for help to expand the project. The result was the creation of the Center for the Protection of Motherhood and Childhood, under the supervision the Archangel Raphael Orthodox Medical Society. According to the Department of Health, more than 2,000 Volgograd women have chosen to abandon their original intention to have an abortion since that time. Father Alexis explained that the focus of his project is simple: to provide women with trained and sympathetic listeners who will hear their concerns, give them full information on the abortion procedure and its potential effects on their own health and well-being, and offer them the material help they need. “Quite often, the only thing needed to dissuade a mother from this terrible decision is simply to talk to someone with an open heart,” Father Alexis said. 88% of the population professes to believe in God, while the number of agnostics and atheists is constantly dropping: a study examines religion’s comeback in former kingdom of State atheism. The long slog is over. The exile of the Orthodox Church from Russian society began in ’17 with the October Revolution and the birth of “gosateizm”, or State atheism. 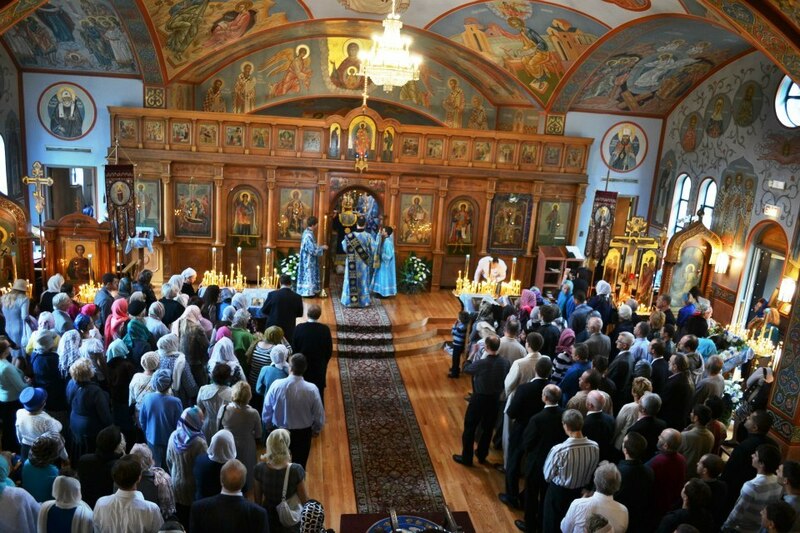 Ninety five years on, the Patriarchate in Moscow is reliving its youth all over again. A recent survey carried out by the Levada Centre has captured the religious sentiment within the Federation: 79% of Russians profess themselves to be Orthodox, 6% Muslim and 3% are Jews, Catholics and Protestants. Believers as a whole make up 88% of the Russian population. This figure is higher than what it was before the Bolshevik revolution. The number of agnostics is constantly falling (7%), while barely 5% call themselves atheists. Following the fall of the USSR, just 34% of the Russian population called themselves believers. If this figure is compared to today’s, we see that in the past twenty years more than one in two Russians has discovered the faith. The spiritual counter-revolution affects members of the Orthodox faith above all, those who suffered the forced policies of “atheization”. From its very birth, the regime tried to uproot the roots of the Orthodox faith from Russia’s social fabric. The figures help us to understand the extent of the phenomenon: in 1919 there 54 thousand popes (priests?) active in the USSR. Twenty years later, there were just 500 left. Before the accession of the Bolsheviks to power there were a thousand churches in the capital. After the fall of the wall, only 40 remained. Since the fall of the USSR this number has steadily risen and today there are about 500 churches. October 12, 2012 - Des Plaines, IL. On the evening of October 11th, clergy and delegates from parishes throughout the diocesan began arriving in Chicago at the Cabrini Retreat Center for the 2012 Diocesan Assembly. Many arriving in Chicago stopped by the cathedral on the way to the conference center to hear vespers and matins. The Assembly began with Hierarchical Divine Liturgy celebrated by Bishop Peter and sung by the Moscow Sretensky Monastery choir who happened to be concertizing at the same time in Chicago. Con-celebrating with Vladika was Bishop Longin of New Gracanica (Serbian Orthodox Church). The many visiting clergy, delegates and visitors to the cathedral were treated to the impressive and vocally powerful male choir - widely considered one of the best in Russia - who sang at the service which opened the Diocesan Assembly. Returning to the conference center following the Divine Liturgy, the Assembly officially convened with greeting and opening remarks by Bishop Peter, followed by presentations throughout the day on various aspects of diocesan life. Those of us who are attending the diocesan clergy conference this weekend learned yesterday that Saturday morning, 10-13-2012 (civil calendar), Divine Services at Holy Virgin Protection Cathedral will be served principally in English. 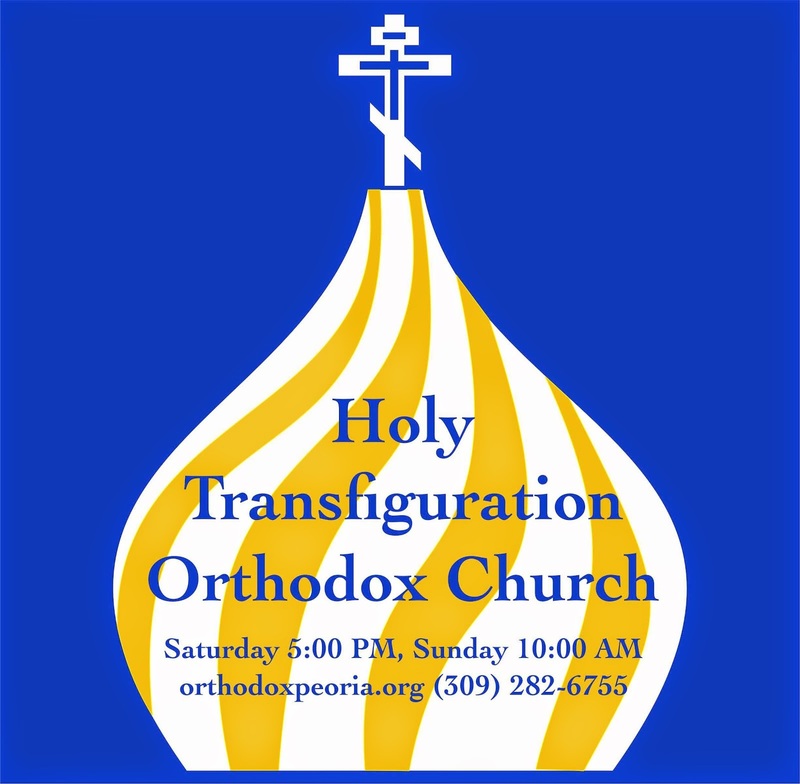 While services at Holy Transfiguration are always in English, services at the cathedral are almost always in Slavonic. For anyone who has wished to attend a Russian service in the Chicago cathedral in English this is a good chance. Also, in order to facilitate our conference schedule for the day Bishop Peter will not preside at this service (so it will be a bit shorter than usual). It is an early service. The Hours are scheduled to start at 7AM. Greetings to all in Christ! A brief update to our standard service schedule. It turns out that some our visiting family are more able to attend on Wednesday evening than on Saturday, so we have added Great Vespers as a reader service to our standard schedule every other week, starting tomorrow, October 10th (civil calendar), at 5:30 PM. These Wednesday services will be served so long as there is not another service scheduled for that particular week. Our calendar has also been updated with the commemorations for our services for the next several weeks. We have also added the full year of Great Feasts, where also future services will be scheduled. Please keep an eye on the calendar for any future updates. Subdeacon Benjamin: This is not a bad article from a political point-of-view. It is more than interesting that Roman Catholics are starting to give credit where credit is due. Russian traditional values stem from the quality of their faith. "Russia is far from perfect," the authors states in his final remark, but may I inform here that I have it on good authority that at least 1 in 20 Russians is a *faithful* Orthodox Christian who could minister to your soul. And her Holy martyrs from the 20th century - widely known to be more numerous than all of the rest of the world combined in all of history - through their prayers Russia is strengthened and we are witnesses now to the grace of God flowing today through them preserving us from the growing tide of godlessness. The Russians have had enough. Last year at the Human Rights Council in Geneva, they initiated a process that was supposed to result in a resolution connecting human rights to traditional values. Almost immediately, they walked into a buzz saw of opposition from the usual quarters: the European Union, the United States, and their NGO supporters from “human rights” and homosexual groups. The western powers are very good at derailing what they don't like. The original Russian draft resolution asserted that human rights have their roots in the moral force of traditional values. It included language supporting the right to life, the importance of the family in society, and the role of major religions, things that could easily have come from the pen of Tony Perkins at the Family Research Council. Left-leaning states charged that the Russian draft failed to consider the connection between traditional values and human rights abuses. Specifically the United States and some European countries said that the rights of women, homosexuals, and transsexuals were undermined by traditional values. A new “study” was commissioned, which ended up removing all references to the right to life, family, and religion. More than that, the new draft targeted traditional values as undermining the rights of women and minorities. As usually happens at the United Nations, the left was satisfied. But not the Russans and not many others either. The new study was supposed to be discussed in Geneva last week. And here the Russians struck with a conservative cultural confidence that can only send shivers down the spine of the Europeans and the LGBT claque in the U. S. Department of State. The Russians simply ignored their opponents, demanded a vote and won. They were far from alone. The resolution was co-authored by over sixty other governments and ended up passing the Human Rights Council with a vote of 25 –15, with 7 countries abstaining. The new document strikes a blow for traditional values in the understanding of human rights and makes clear that human rights are universal and not “evolving,” as the left asserts. What we are witnessing at the United Nations is an awakening of the Russian social policy bear. Many governments have grown weary of the aggressiveness of the sexual left, now firmly ensconced in the U. N. bureaucracy and human rights machinery.